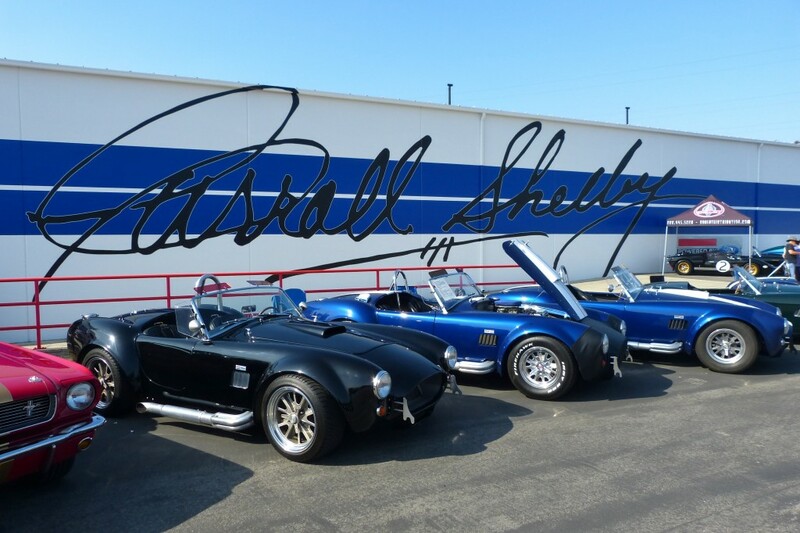 Carroll Shelby passed away May 10, 2012. 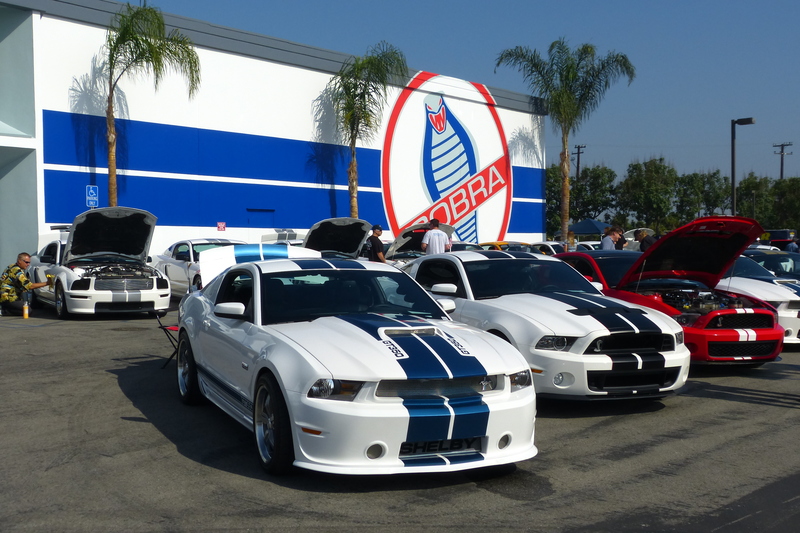 So it was exactly a year and a day later (May 11, 2013) that the Shelby American Automobile Club (SAAC) and Shelby American itself paid him a proper remembrance in the form of an outstanding gathering of Shelby and a few other Ford automobiles, at his former office building and Goodyear racing tire warehouse in Gardena California, just a few miles south of downtown Los Angeles. 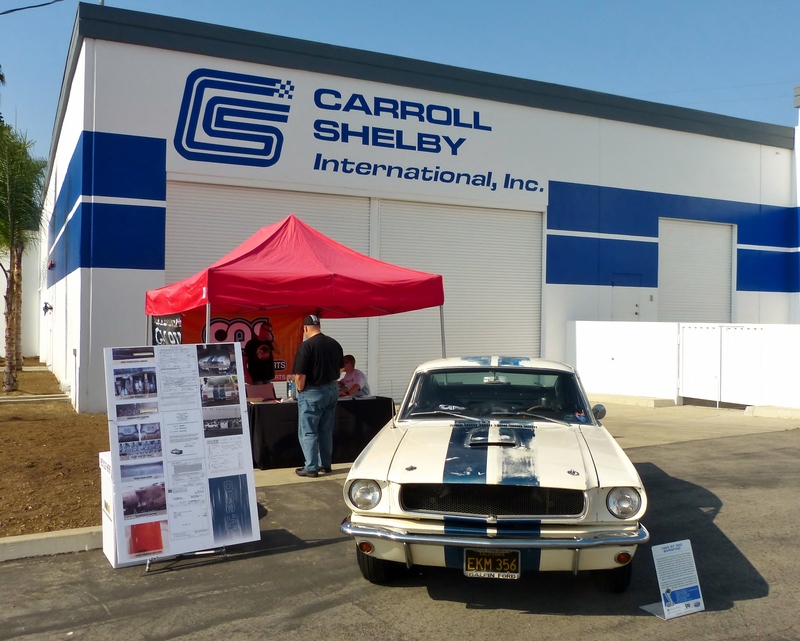 Galpin Autosport’s fabulous garage find, unrestored original ’65 GT350 helps show off the newly remodeled Shelby property. This car was originally built at a Shelby American property just a few miles from this locale. This concrete and block industrial property was never much to look at; in fact, just about the only indication that it had anything to do with cars was the occasional Shelby Mustang, escaping from the back gate, or sight of the old Goodyear tire trailer parked out back. No matter, the Shelby American crew got busy with scrub and paint brushes, detailing repainting the entire huge structure with fresh white paint and dark blue Shelby stripes as you’d find on any proper GT350. The place has absolutely never looked this good and it played the perfect backdrop for the 150 or so cars in attendance – the parking lots were filled to capacity, as the last dozen or so cars that arrived had to park on nearby streets (including one fabulous ’65 GT350 belonging to Shelby Myers, of RM Auctions, which looked a little lost parked on the grass outside the property gates). 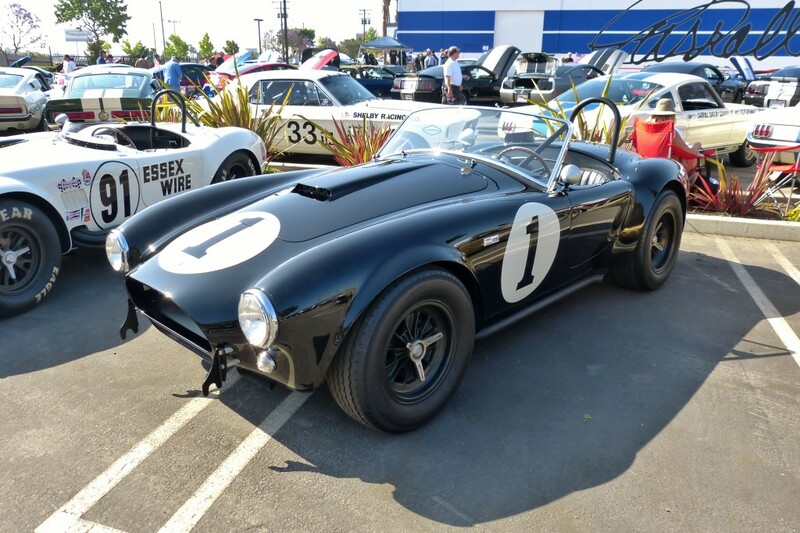 Every Shelby favorite was there; from early Cobras to a Sunbeam Tiger to every year, color and stripe of GT350 and GT500 you can imagine. We can’t say enough for Bruce Meyer’s over-the-top fabulous CSX2001, the true first production Shelby Cobra, resplendent in black, appropriately wearing the number “1” in its number bubbles. Short of the CSX2000 prototype, Shelbys don’t get much more significant than this. 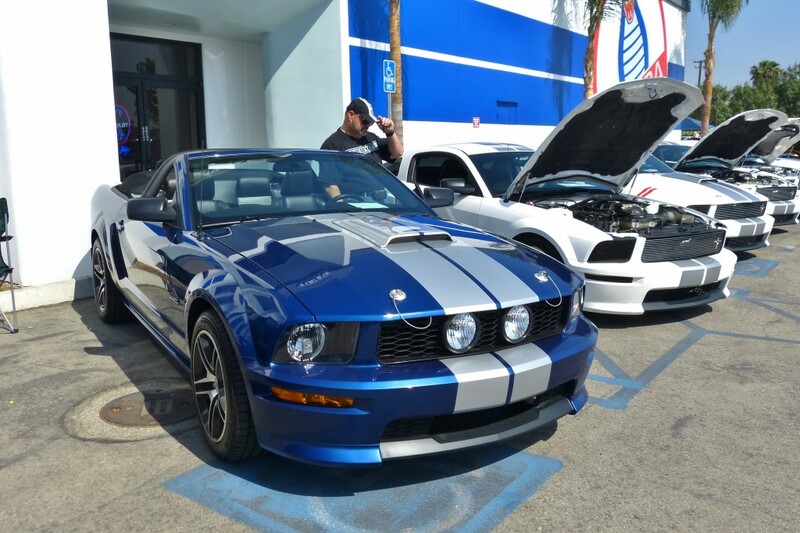 The late model Shelby Mustangs also demonstrated their popularity, with row after row of Shelby GT, GT350, GT500 and SuperSnake on hand. Amazing 428 S/C in well driven original condition, drew more stares and comment that nearly any car on hand that day. Dual quad Cobra 428 just the way it was made. The car that drew the most looks, stares, and points is unquestionably CSX3047, a Hertz Gold 427 S/C wearing all original nearly 50 year old paint and many many battle scars picked up along the way. 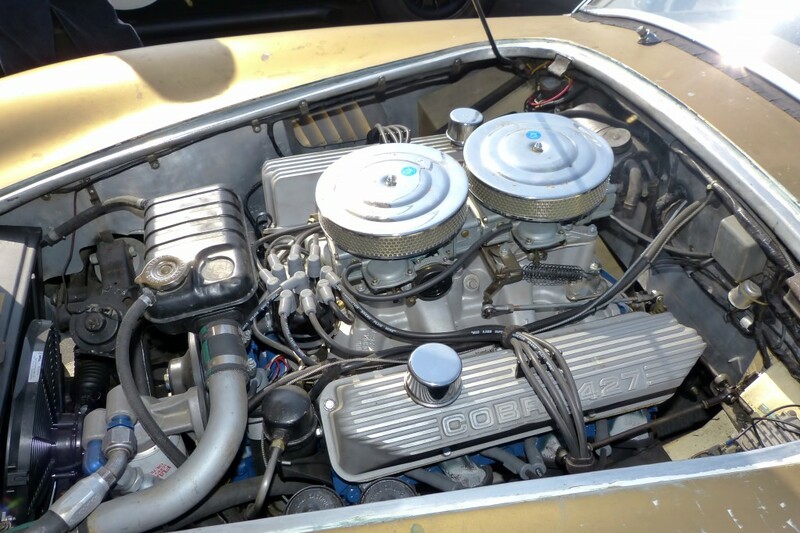 The dual quad 428 is also the original powerplant; few could take their eyes away from this timeworn original Cobra. Patina such as this has to be real, as it simply couldn’t be faked or created to this level of rightness. Not everyone liked the car, as some shook their heads and said it should be properly and authentically restored, and presented in beautiful condition. 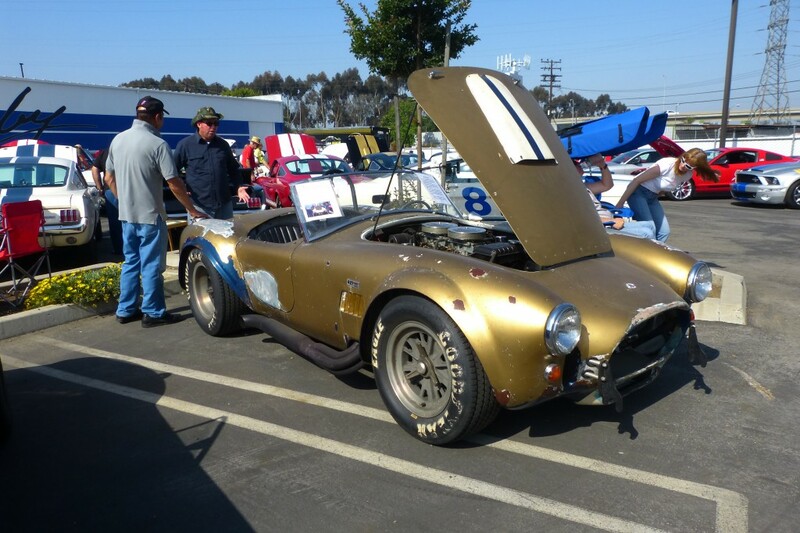 Others said “don’t touch it – just drive it.” Another car that drew mostly “don’t touch it – just drive it“commentary from an appreciative crowd is Beau Boeckmann’s (of Galpin Auto Sport and Galpin Ford) fabulously original, and somewhat worn looking, ’65 GT350. 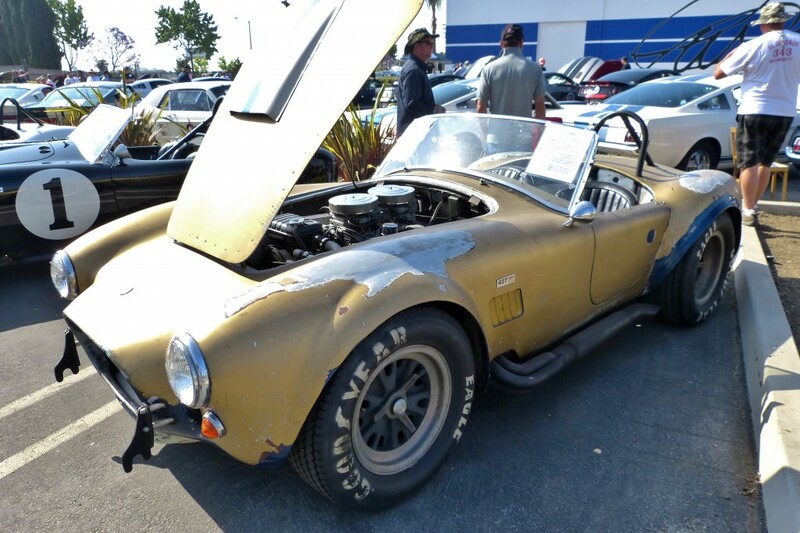 This hearty soldier was sold new by Galpin in the 60s, and then parked in a garage awaiting an engine rebuild for more than 40 years. Boeckmann purchased the car at Barrett-Jackson Scottsdale in 2012. The Wimbledon white paint is in pretty good shape, although the blue stripes are faded and have been polished mostly through. 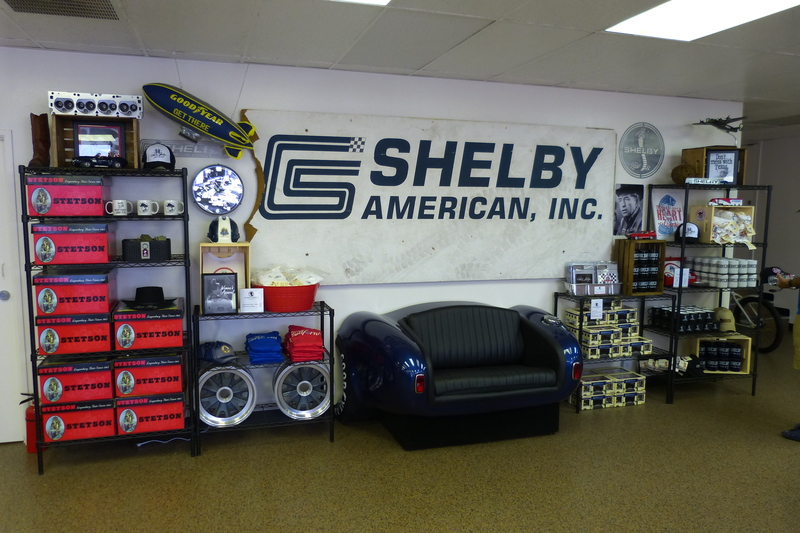 The interior is a bit tired, but clean and absolutely original and serviceable; the GAS shop elves have recommissioned the car mechanically, and it runs and drives almost as new, with all five original Shelby/Crager mag wheels present and accounted for. This car screams its history from every pimple and pore. My friend Robert Bistagne’s Shelby Terlingua tribute Mustang TransAm club racer is very much like the car Titus used to win the SCCA T/A title that year. Many important Shelby folks were on hand too, including racing writer Rick Titus (son of the late Jerry, ’67 SCCA Trans Am champion in a Shelby Mustang), numerous current and former Shelby American employees and race team members, and current Shelby American President and CEO also strolled the grounds and chatted with attendees. 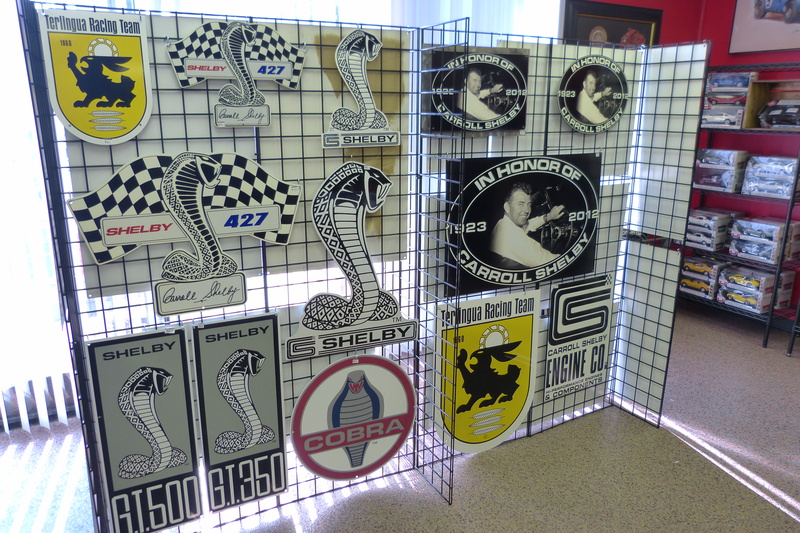 Among the many other recent improvements at Gardena is the construction of a Shelby store and gift shop; the crowd enjoyed the chance to shop among the zillions of t-shirts, coffee mugs, photos, Shelby wine, and other Shelbiana offered for sale. And what did they serve for lunch? Chilidogs, of course. It’s likely that Carroll himself wouldn’t enjoy the idea of an annual gathering to commemorate his passing, but we could think of nothing more appropriate, and hope that this event in Gardena becomes just that. Me’N my GT; this is my very own 2008 Shelby GT convert, lined up with a group of similar late model Shelby Mustangs of which there were dozens on hand. 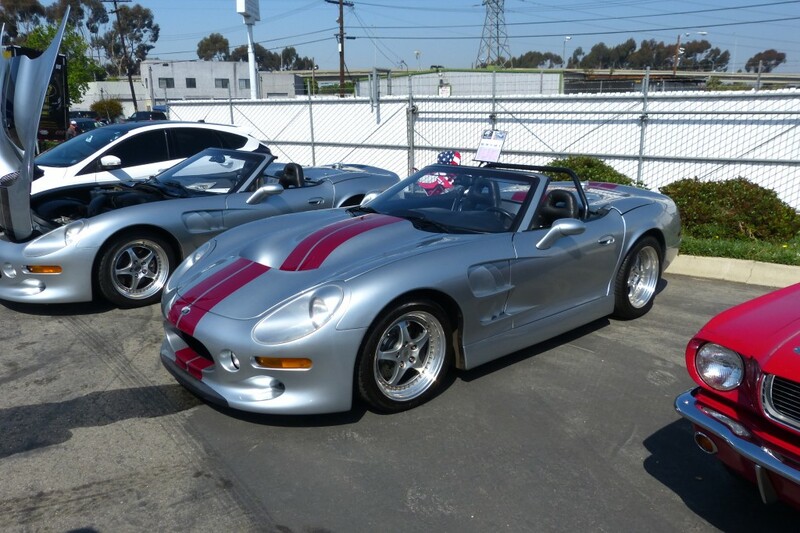 A car many people forgot or write off, but one that Carroll was legitimately proud of, the Series I. not that fast in naturally aspirated Olds Aurora-powered form, but cool looking, and a real handler with a great chassis. 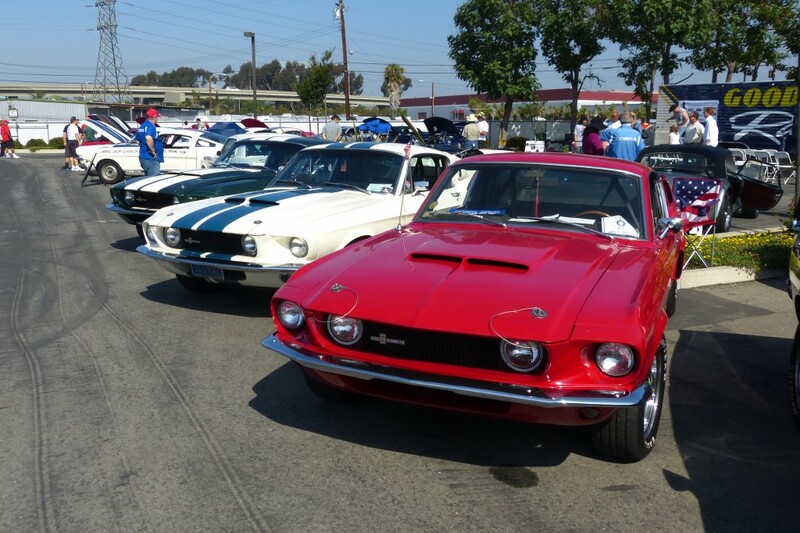 Lots of great early Shelby Mustangs turned out to honor The Man. Late series ’67s seen here. Let me introduce you to one very smart man. 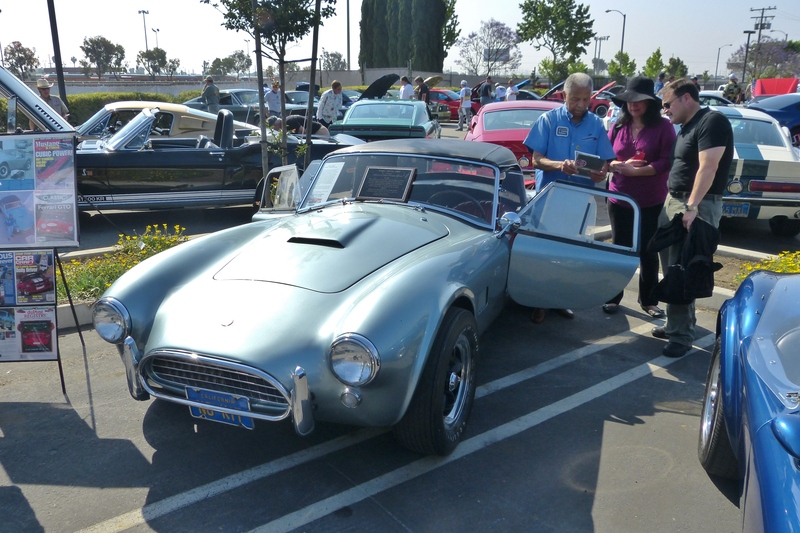 This gent, named Hank, bought this early small block Cobra new, and had the foresight to keep it original, keep it in fabulous condition, and just plain keep it all these years. We should have all done the same thing in the mid-60s. Cobra CSX2001, the first production Cobra, as owned and restored by my friend, mega enthusiast collector Bruce Meyer. Meyer has amazing cars, and shares and shows them often. Good on ya, Bruce. 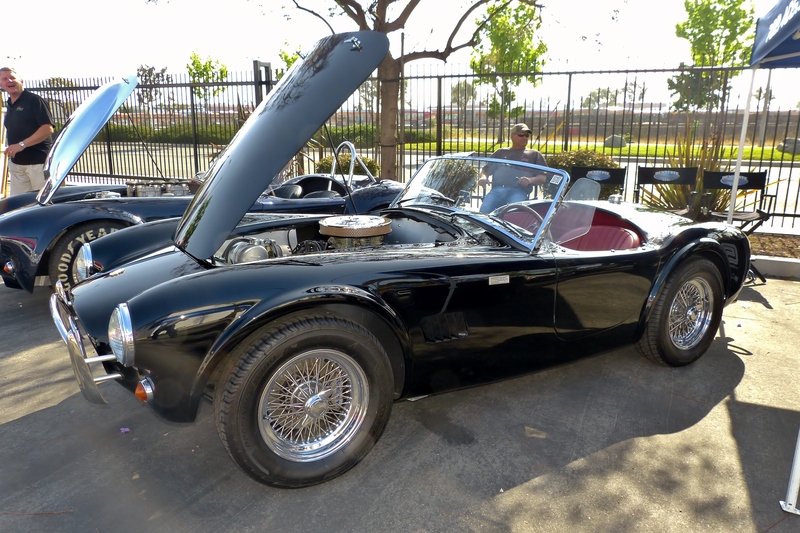 New era 50 anniversary Cobra, in black over bordeaux leather interior, is a car I really really want. Former Shelby Goodyear Racing Tire distribution warehouse looks fabulous, and with luck, will someday be a proper Shelby museum – let’s hope they can raise the dough and make it happn.